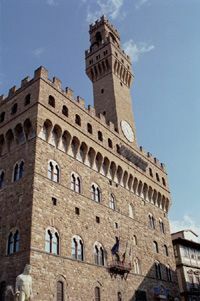 Leonardo goes briefly to Florence and acts as a consultant in the building of the Sala del Gran Consiglio (Great Meeting Hall) in the Palazzo Vecchio in Florence. Leonardo probably begins to paint the second version of the Virgin of the Rocks (National Gallery, London), with the help of assistants. The painting is finished by 1508. He begins the Codex Forster II.